Medlife International Pvt. Ltd, a self-funded online platform for healthcare services, plans to invest $30 million (Rs 192 crore) in business expansion over the next one year, a top company executive told VCCircle. 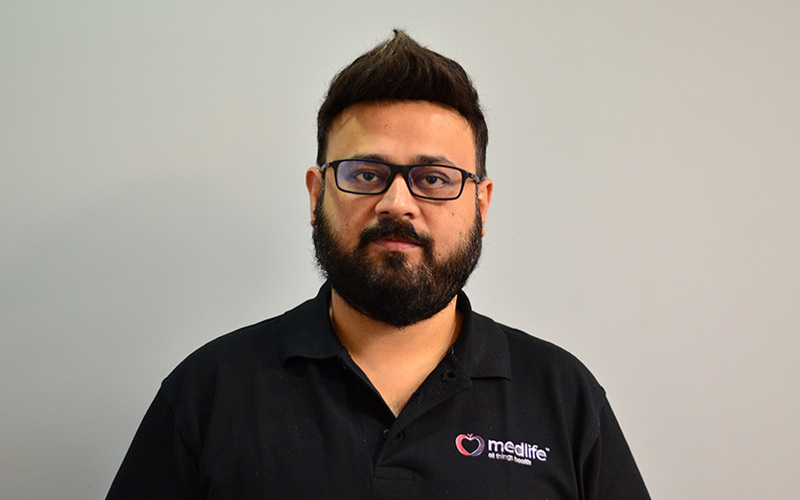 Founded in 2014 by Tushar Kumar and Prashant Singh, Medlife initially did only online drug delivery. However, it has gradually diversified into online doctor consultation and laboratory services. The company has a single consumer-facing mobile app for accessing all three services. Kumar, director and CEO at Medlife, said the funds will go towards ramping up the company's fulfilment and warehousing capabilities, enhancing its presence in Tier 2 and Tier 3 cities, and marketing activity. “The money will be infused in our personal capacity as founders and shareholders, as well from our family trust,” he added. Currently operational in 34 cities (19 directly and the rest through partnerships), the Bangalore-based company aims to expand to 100 cities by the end of 2018. Kumar and Singh already run Tulip Lab Pvt. Ltd, a company that manufactures herbal and allopathic medicine products. In fact, Kumar comes from a family of pharma entrepreneurs and was briefly involved in the family-run Alkem Laboratories. Medlife offers e-consultation through its patient management software for doctors, who are automatically on-boarded upon signing up. Currently, the company claims, a little over 1,000 doctors from five cities use the software. Medlife hopes to on-board 10,000-12,000 doctors by the end of next year. The laboratory services on Medlife's platform are currently aggregated, but the company plans to set up its own labs starting next year. “We have an annual revenue run rate of Rs 190 crore. However, given the 20% month-on-month growth we are witnessing, we expect to close the financial year with a Rs 300-crore revenue run rate [and] the pharma business contributing the majority of the volumes,” Kumar said. He, however, clarified that in the long run the company expected e-consultation to be the major driver of monetisation. Medlife claims to be gross margin-positive, and says it will turn profitable by the end of 2018. Though the firm doesn't need external funding at this point, should the need arise, it will be open to on-boarding a strategic investor by sometime next year, Kumar said. Since inception, the firm has followed an inventory-led model for its medicine delivery business, where it buys directly from pharma companies. The startup, which currently has 25 fulfilment centres, plans to adopt the hub-and-spoke model going forward. This will also help it comply with the recently rolled-out GST regime better. Similarly, it plans to front physical drugstores through a franchise model across the country. Talks are underway to establish the first such store in Kolkata, which is expected to come up within this quarter. Over the long term, Medlife plans to introduce one-hour drug delivery and home-based healthcare, among other facilities. However, it is in no haste to do so, at the cost of unit economics. “Some of our competitors deliver drugs in an hour, but at a negative gross margin which does not make sense,” Kumar said. At the same time, the importance of digital and a quick scale-up is not lost on Kumar. "The future will be all about virtual. Unless it is an emergency, people will stop going to doctors," he said. Medlife operates in a space that boasts many significantly venture-capital funded players, including Practo (around $180 million), NetMeds ($60 million), Portea ($45 million ), 1mg ($36 million), Healthkart ($34.5 million) and Medwell Ventures ($34 million) among others. For a bootstrapped player like Medlife, being future-ready sounds like the smart thing to do.